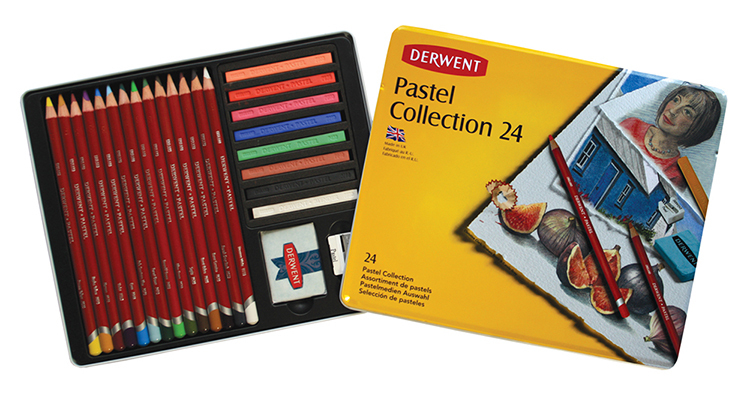 In this collection there is a great range of versatile pastel media, putting a whole range of creative possibilities at your fingertips! It is an ideal introduction to pastel media; the pencils and blocks can be used separately or together to create a range of exciting effects! The set contains a mixture of vibant pastels that are lovely to smudge and blend; each of the colours is blendable, and so you have an infinite palette at your disposal. The pastel blocks are excellent for creating broad sweeps of colour and making bold, expressive marks. They also allow you to create large areas of colour quickly. 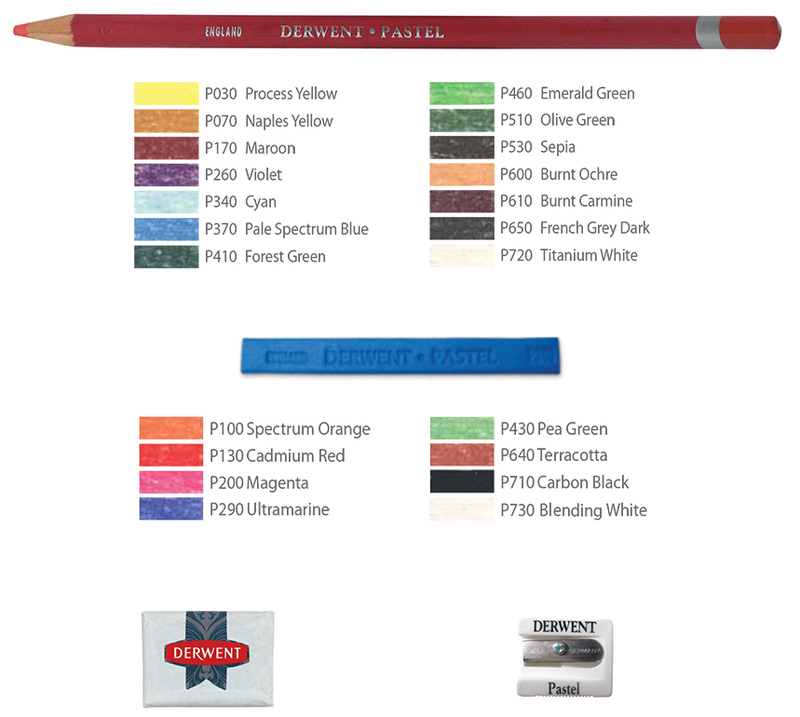 If you're looking to create more detailed sutdies, the pastel pencils are excellent for creating crisp, fine lines and for adding in those finer details. The kneadable eraser included in the set is also an invaluable artists' tool! The eraser can be kneaded until soft, and pulled to a fine point in order to lift off precise areas of pastel. The pastel pencil sharpener is also an excellent way to achieve a fine point on your pencil. This set is ideal for beginners and hobbyists, and makes a thoughtful and imaginative gift.